The Compulsive Reader: Another Author Event! Today I am headed to Lauren Oliver's book signing, celebrating the debut of Before I Fall, her first book, which came out this past week. If you are in the Ann Arbor, MI area, come say hi! Lauren will be signing, and a bucnh of bloggers will be there as well! I hope the see a lot of you there! 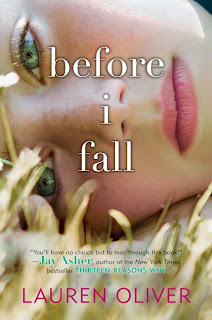 And be sure to check out Before I Fall, it's an amazing book! Great meeting you and everyone else and Lauren (0f course!) today at Borders. Hopefully I'll see you at other signings! I am a compulsive reader. While I have my faves, I will read any and every thing.